I emailed Mayor Reed telling him how much I enjoyed the Clarion Ledger interview and expressed my admiration for his dad. I included a link. He read the little thing. He was scheduled to speak in Meridian on Wednesday and invited me to be his guest at the event. I once overheard someone at the Neshoba County Fair say, "Mississippi is more a club than a state." I'd have to agree. Social media and the Mississippi Club got me to lunch with Jack Sr. I hadn't seen him since 1987. It was great. We worked out a simple deal. It was an unspoken contract and we all know those exist. I'd fetch his coffee and desert and he'd answer questions about public speaking and leadership. I wanted to drink from the well and he seemed pretty happy about dipping the water. Jack Reed has a body that moves slower than it once did but his hearing aide and cane don't hide the light in his eyes and the mischief in his good humored voice. He made a deposit in my life this Wednesday and here are the lessons I'm going to try to apply in my life as a leader and speaker. This is not a list of quotes but the wisdom I distilled from our conversation. 1. Be a man of integrity. He quoted Aristotle which was fun to watch. I left with an appreciation for a communicator that truly values ethos. 2. Be funny if you can. Mr. Reed believes that the greatest tool a communicator has is a healthy sense of humor. We both agreed, however, that people who are not funny should not try to be. It's painful to watch. 3. Work to keep the speech/sermon short. A disciplined use of words is a powerful thing. I thought of E.B. White's guidance, "Eliminate useless words." 4. Remember that people remember more than they think they do. Mr. Reed said, "They always remember the punch lines but that doesn't mean the rest isn't in there subliminally." 5. Be moderate. Learn to listen and be humble enough to learn from others. 6. Take control of your emotional health. He cited William James' theory saying, "It's not happiness that creates the smile but the smile that creates the happiness." Being a calm presence is one of the best traits of a leader. Joy really is strength. 7. Be a teacher/mentor. John Wooden, St. Paul and others used the image of parent to describe healthy leadership. You can see the imprint of his life stamped on his son. The man lived what he taught. He also spoke of other's that, "think they are my son." He wasn't bragging but speaking with affection about persons he had invested in. That's huge. 8. Be passionate. You may remember I met Mr. Reed in 1987. I played him in our elementary school's mock election. The last question he had for me was, "Did we win?" He was delighted that we smoked 'em at Poplar Springs Elementary School. Wisdom and moderation is not antithetical to passion and drive. Great leaders nurture both. God splashes blessings on us at unexpected times. My lunch with Mr. Reed fits into this category. I'm truly grateful for God's absurd grace and I'm thankful to Mr. Reed for once again taking some time for this boy. Jack Reed Jr. on Leadership or "I'll Have an Arnold Palmer; Please." Jack Jr. on Leadership or "I'll Have an Arnold Palmer; Please." Summer is here y’all and it’s getting deep. I’m not sure where you live but it’s hot in Mississippi. Most good Southerners have a strategy for staying cool and as a good Southerner I’ve been working on mine for years. The Arnold Palmer is part of my master plan. An Arnold Palmer is a drink. It is one part iced tea one part lemonade. I’ve been sipping them for years. I haven’t paused to think of their social importance until yesterday. The Clarion Ledger ran a piece on Jack Reed Jr. the mayor of Tupelo. I immediately read it because Jack Sr. is one of my favorite Mississippians. When I was in the 5th grade at Poplar Springs Elementary School I played the part of Jack Reed in our school’s mock gubernatorial election. It was a little civics lesson that introduced me to the world of Southern politics. I got to meet Mr. Reed during the course of the deal and even stumped for him at a rally. It was my first and last political speech. Jack Reed Sr. is a class act and I think he embodies the best of Mississippi. Reading his son’s piece brought back some good memories. Molly Katherine and I like to dance around the house with each other singing a few lines from John Prine’s song, Goofy World. “There’s a big ole goofy man dancing with a big ole goofy girl – ah baby – it’s a big ole goofy world.” It truly is. Life is hard and unpredictable. Sure things blow up and the rain falls on the just and unjust. As Christ’s followers we can dance our way through by humbly clinging to the kindness of God. I’ll preach a message tonight based on Hannah’s story in 1 Samuel. We can learn many lessons from her experience and the way God dealt with her. She was mistreated and misunderstood but she presented herself before God and poured out her heart in prayer. God listened and blessed. She’s a good model for us. If you are in Meridian tonight come to FBC Meridian @ 6:30. I think you’ll be encouraged. We hope to see you! Paul wrote about his own apostolic leadership is a strangely similar way. In I Thessalonians he spoke of his leadership in parental terms. “But we were gentle among you, like a nurse tenderly caring for her own children. So deeply do we care for you that we are determined to share with you not only the gospel of God but also our own selves, because you have become very dear to us” (1 Thess. 2:7b-8). “As you know, we dealt with each one of you like a father with his children, urging and encouraging you and pleading that you lead a life worthy of God, who calls you into his own kingdom and glory” (1 Thess. 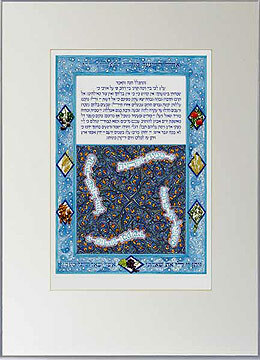 2:11-12). Spiritual leadership is a Dad/Mom kind of thing. I am grateful for the example of Tim and Sherry Snowden. The lives they live for my brothers and me was/is a living text on servant leadership. I pray for God to supply the grace necessary to live like them for the sake of our children and the work God has called us to do. Here is my message from Sunday. It's special for me on our tenth anniversary. I got to lead a group of young adults on a mission trip to the Dominican Republic last week. I could not have asked for a better team to work with. They served graciously and exhibited the kind of grit necessary to roll with the punches. We will share our stories during our church’s midweek service tonight at 6:30. Someone asked me what the highlight of the trip was for me. There were many high points. The ministry in Sabaneta is maturing and it’s good to see growth in the work. God is doing great things with our friends in the city. The prayer walking is bearing fruit. Other evangelical groups are just now starting to come to Sabaneta. We met a couple with the Alliance churches that had been in the country just a few weeks. Greg Massey and I believe that the prayer saturation is making a difference. The peak of my experience this year was the new influx of Haitians. 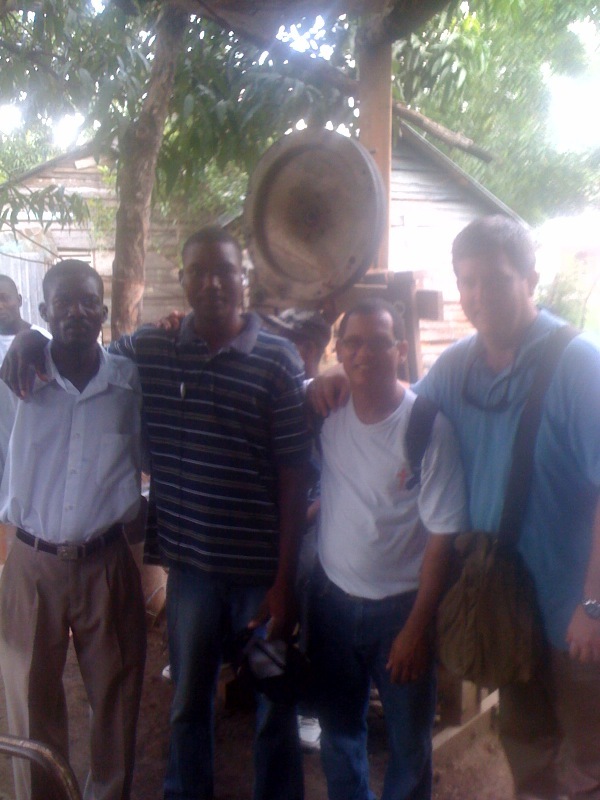 Sabaneta is very near the border and many Haitians came over after the calamity in their country. Jose and the church are working hard to connect with them. 1. It humbled us. There are few things more frustrating than not being able to communicate. 2. It made us dependent on each other. We were forced to wait on one another. I’m not sure I’ve ever paid that much attention to fellow worshipers. 3. It magnified God. The God of Pentecost is just not restrained by the some local bonds that we are restrained by. God is the God of the whole Earth. Please pray with me that the Dominican Republic trip continues to bear fruit in the lives of our team. Most were college students and this was their first international mission experience. I want this experience to change them forever. They glorified God and I sense they will continue to as they live for their neighbors and the nations! Several weeks ago Philip Nation sent me an email asking if I would be willing to help Ed Stetzer review a book. I feel like this invite went out to a truck load of people but it came with a free book so I was game. I also appreciate Stetzer and the work he does. I really did like the book. It was by Leanard Sweet and Frank Viola. Both of these guys are challenging writers and this book was no exception. I encourage you to buy it and read it slowly if you can. Life really is about Jesus and this book will help you see that fundamental truth again. Thank you for this opportunity. I really like books and free ones are the best. Your ministry has been a blessing to me and I appreciate what you do for our churches. I hope this small review helps. I believe that you should. I have read a number of your books and I have heard you speak on a few occasions. My perception of you is that you are both orthodox and irenic. I truly think you would accept this work with gladness. The lordship of Christ is the core of true missional renewal and it’s the heart of this book. This book exalts Christ and stirs a desire to love and serve him more. This book has a very high view of Christ. I found the affirmations orthodox. There is one element that I think may be problematic for some Southern Baptists. There is a section in chapter one that deals with the Old Testament. The writers state, “Jesus Christ makes Scripture intelligible. He is the key that unlocks the entire biblical canon” (p.8) .They conclude this section by saying, “We, therefore, should understand the Old Testament Scriptures in light of Jesus Christ. He is the Rosetta Stone of the Bible” (p.11). I do not have a problem with these statements. I agree with them. I do, however, remember many conversations when the Baptist Faith and Message was revised. The language of this book more closely resembles the “old” BF and M. It may fire up some unfriendly blogger types. I flag another concern later in this work. What are the big themes? The theme of this book is Jesus. It calls the church to our fundamental concern. The writers state their hope this way, “…we hope to bring your vision and understanding of Jesus Christ into sharper focus” (p.25). They don’t try to introduce a Jesus we have never known. They don’t dress him as a cynic sage, a Marxist, or the father of French royalty. There is absolutely no novelty in this book. I found this to be the most refreshing part of the work. So many books about Jesus try to introduce the reader to the hidden, lost or stolen Jesus. These writers simply want to highlight the big ole Jesus of the bible. They seem to really believe the stuff as well. They also believe that a confrontation with the biblical Christ holds out hope for real spiritual renewal. Listen to them, “…we hope it will birth in your life a new burst of wonder and insight into the earthly, the exalted, and the indwelling Jesus. 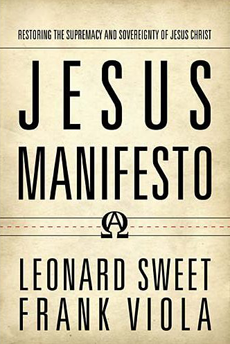 But even more, we hope that you will be compelled to respond to the love He has so graciously poured out upon you-and become a Jesus Manifesto in your own community” (p.27). This book is a call to non-saccharin devotion and a mission compelled by love. What are the key ideas of the book? The opening chapter starts with this huge affirmation, “Indeed, Jesus is not just the Lord of the middle and the margins; He’s the God of the whole show” (Chapter 1 page 1). Knowing this God becomes, “…the chief pursuit of the Christian life” (p.2). The writers assert that knowing and loving Jesus is the heart of holiness and mission. They write, “If the heart is occupied with Christ, Jesus will pour forth from the lips and the pen. He will ooze out of every pore”(p.15). They later affirm, “…Christ will be on the lips of every person and church who is walking in the Spirit, and He will leap out from their lifestyle” (p.17). The problem, they believe, is that Jesus is not the core of large amounts of Christian activity. They write, “The tragedy of our time is that countless preachers, teachers, even healers are giving dozens of sermons, lectures, and messages, relegating Jesus to little more than a footnote or a flourish to some other subject. At best, He gets honorable mention”(p.17). I think you agree. This chapter explores the book of Colossians. 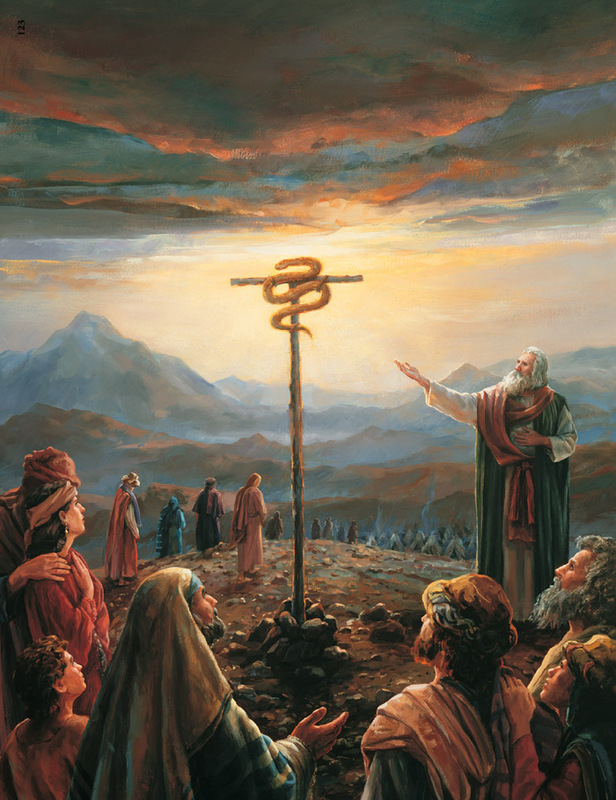 They see in Paul’s letter the high theme of biblical revelation. “…the message of the Bible is Christ”(p.38). All other messages are to be addressed in light of Christ. I had some trouble with the first part of this chapter. I think it possesses one of the weaknesses of the book. It begins with a long section that invites the reader to listen as they assume the voice of God the Father. I found this to be distracting. It may be my personality but I do not believe that I would ever be at home with this type of spiritual exercise. It moves from this, however, to explore a truly Christ-centered concept of sanctification. Sanctification is the fuel of mission. I think you will be particularly interested in this quote, “As we write these words, there’s a lot of talk about being ‘missional.’ But to be truly missional means constructing one’s life and ministry on Christ. He is both the heart and bloodstream of God’s plan. To miss this is to miss the plot. Indeed, it is to miss everything” (p.57). They go on to say, “The engine of being ‘missional,’ therefore, ought never to be religious duty. Neither should it be guilt, condemnation, or ambition. The engine should be blindly and singularly a revelation of Jesus Christ” (p.58). I think this could have been said in Sent or Compelled by Love. This chapter introduces a “relational Christ ethic.” The indwelling Christ motivates and empowers a life of holiness. This chapter holds up two popular approaches to Christianity and argues for a third way. They quote Barth, “Indeed, the road to truth is surrounded by a ditch on either side” (p.79). The writers argue that theological rationalism and theological ethics alone are not sufficient guides for the follower of Christ. They state, “According to Scripture, Jesus Christ (and not a doctrine about Him) is the truth. In addition, Jesus Christ (and not an ethic derived from His teaching) is the way. In other words, both God’s truth and God’s way are embodied in a living, breathing person-Christ” (p. 80). Chapter 6 challenges the reader not to make Jesus a “cause.” They state, “Focusing on His cause or mission doesn’t equate with focusing on or following Him” (p.94). This chapter focuses on the Kingdom. I love this quote, “The only battering ram that can storm the gates of hell is not the cry of justice, but the name of Jesus” (p.105). They define the kingdom of God as, “the manifestation of God’s ruling presence” (p.107). They do a good job of placing justice and mercy issues in a “relationship with Jesus” category. I think that this is a fruitful course. Chapter eight explores the question, “How did Jesus do what he did?” The response they give is, “The glory of the gospel is that we who are fallen, tarnished, and marred have been invited to live our lives in the exact same way that Jesus lived His life: by an indwelling Lord” (p.127). This concept leans hard on the old evangelical spirituality of “yielding.” There is no novelty here. It’s a good reminder. I have a problem with a part of this chapter. They write of scripture, “The fundamentalist idea that the text has only one meaning is of relatively recent invention (it was spawned from Enlightenment rationalism)” (p.139). Footnote 28 reads, “This line of thinking corrals atheists and Christians together into a unison choir to sing from the same epistemological song sheet. For most of Christian history, it was thought that every passage of Scripture had at least four meaning” (p.197). If they were going to drop these bombs then they needed to hash it out a little more. I understand their line of thought but many of us still affirm authorial intent and are far from fundamentalist. I think. This was a flaw from my perspective but I don’t that it was a damning flaw. This chapter deals with the church. They write, “The authentic Christian life, therefore, is not an individual pursuit. It’s a corporate journey” (p.142). I believe that this is a really important observation and sadly it must be stated again and again to American Christians. They speak of the functions of the church this way, “The occupation of every local assembly can be summed up in two words: discovering and displaying – that is, discovering and displaying Christ” (p.144). They use the city of Bethany to explore vital church functions. I think that this was a beautiful chapter and it encouraged me greatly. Chapter 10: Who Is This Lord of Yours? Chapter ten sums up the book by affirming, “Genuine Christianity is learning to live by an indwelling Christ.” Again, this is an ancient truth and a solid evangelical affirmation. Many older Baptists will recall Jack Taylor’s call to live by the indwelling Christ. That sparked a season of renewal in many churches. It’s warm hearted Christian devotion. It is rooted in scripture. I think Ed should endorse this book. He would probably disagree with a few points. I have highlighted a couple of the places I differ. It was written well and the overall emphasis is solid. My love for Jesus was nurtured while I read this and I was motivated to serve in his name. I think that marks a truly good piece of Christian writing. This work was a thoughtful piece of devotional literature. It had a pietistic aroma to it. I would recommend it. Leanard Sweet and Frank Viola fulfilled the aspiration of all truly Christian writers. They exalted Jesus. Sweet and Viola spark a renewed love for Christ by unfolding the deep mystery of His person. You will not agree with every statement in this book but you will be compelled to whisper prayers of gratitude for our beautiful savior. You will also be motivated to love his church and serve as sisters and brothers in his name.